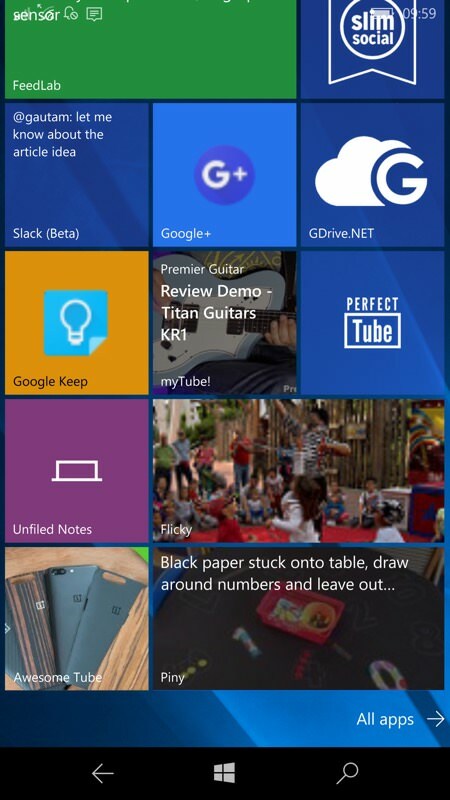 It's been a week of major service UWP applications, though not from first parties - we're talking thrid party here (mainly Chococode) - but don't let that put you off. 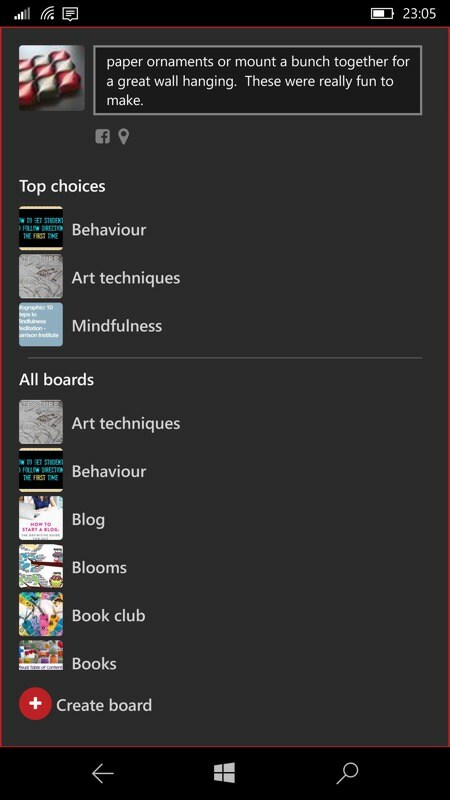 If YouTube, Tumblr, Flickr and - here - Pinterest don't think it's worth producing their web content in Windows 10 UWP app form then here at least is a great third party alternative. 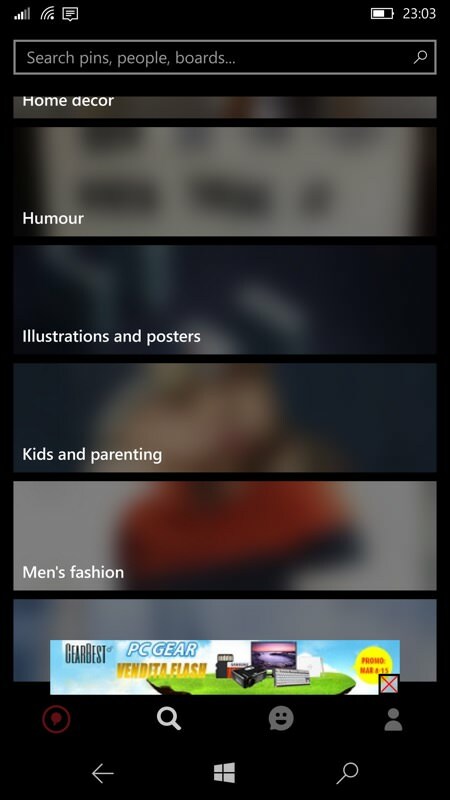 Piny, subtitled 'Pinterest with love', curiously, does a pretty good job of presenting the whole of the Pinterest web site in application form, with major app 'sections' organised along the bottom. I should preface this walkthrough by explaining that I'm not a huge Pinterest user - though I'm absolutely aware of how useful a huge number of people find it. 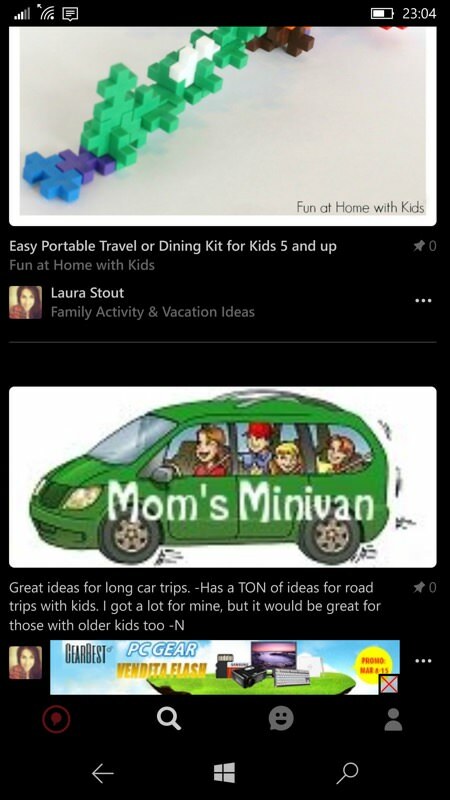 But note that there are probably a few minor functions and settings that can only be done on the original Pinterest web site - the UWP app here gets you through 99% of what's available and that's easily enough. Other than speed and responsiveness (bandwidth permitting - this is a very graphics heavy service), the other major selling point here (over the web site in Edge) is that there's a dark theme available, saving hugely on power on AMOLED-screened phones. 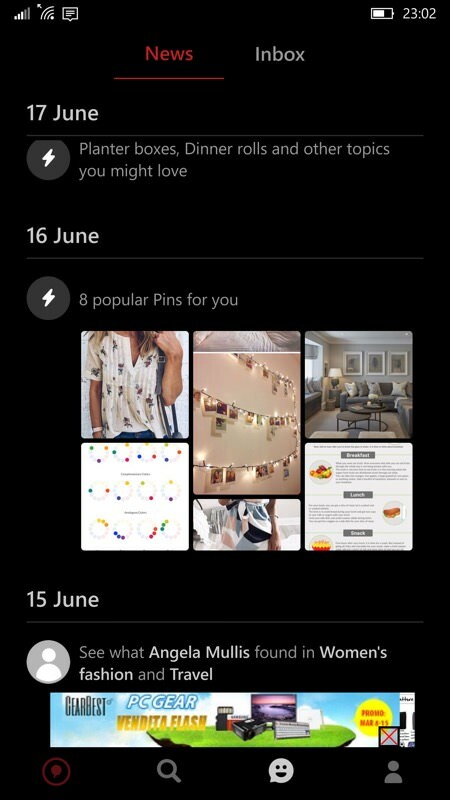 Pinterest is all about graphical ideas and material demos, of course, and Piny shows them all off well, especially here in dark mode, which makes a lot of difference on an AMOLED-screened phone. Everything looks more luxuious and you save a lot of battery. 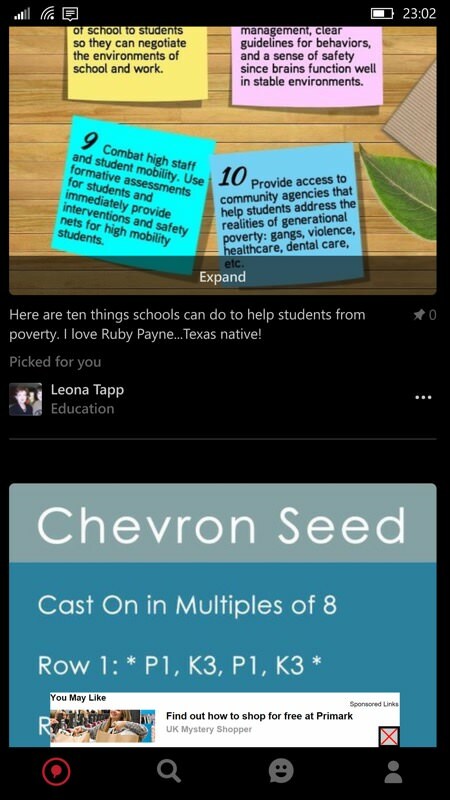 You can't zoom in on a graphic, mind you, at least not beyond 'expanding' them to screen resolution, though when looking at a particular post you can 'Download image', and then examine it further on your phone, etc. 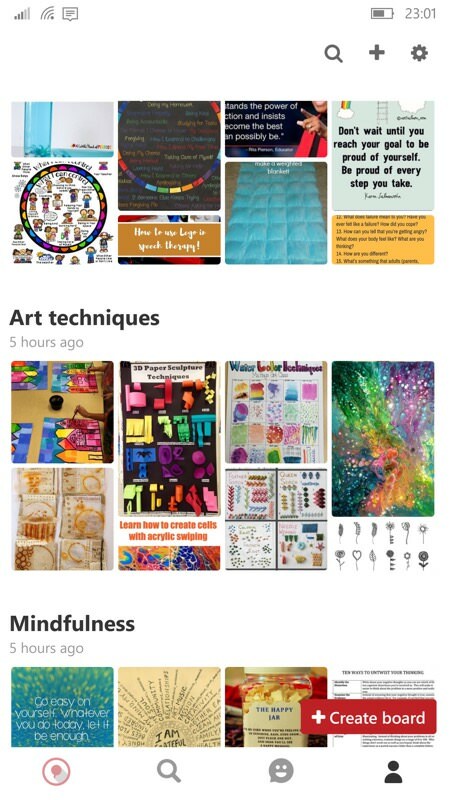 (right) Sorted by timestamp, some recent 'pins' from others who are popular or in my (again, my wife's) Pinterest circle. 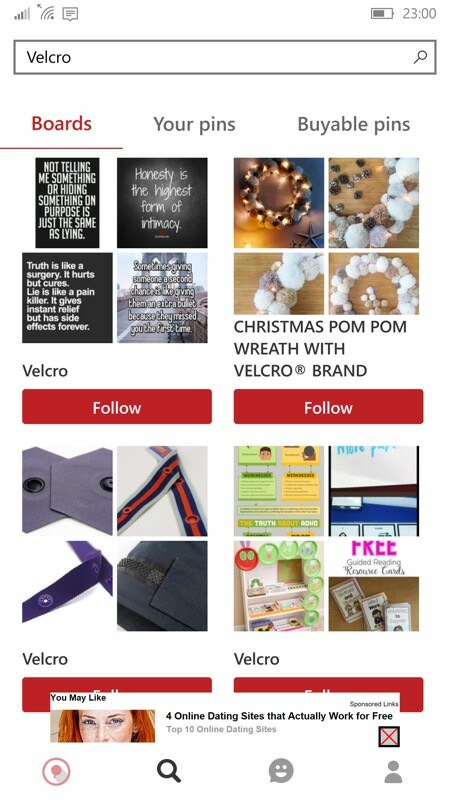 Some of the various Pinterest channels/categories, artily presented; (right) more from my wife's Pinterest contacts - note the banner ads on each pane in Piny - these are easily dismissed forever with the small In-app-purchase. 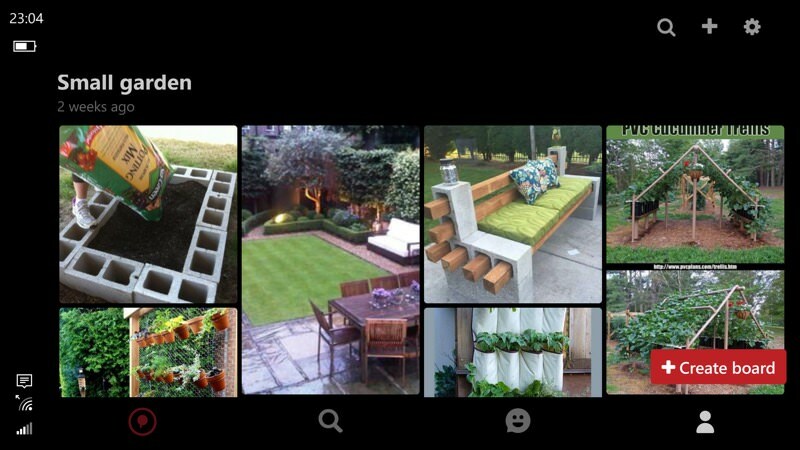 The presentation of Pinterest content is excellent - all a bit overwhelming for a newcomer like me, though no doubt very familiar to hardened Pinterest users; (right) at the bottom here, the double-wide Piny live tile, maximised and toggling between graphical and dimmed/titled views of the same revent pin from your Pinterest timeline/home. Terrific stuff from Chococode (again), the application is supported by small banner ads which you can remove for £1.49 (in the UK Store) - this is absolutely fair enough and, reading through the Store reviews, I'm appalled by the number of people complaining about the ads and generally expecting applications like this to be 100% free. Good developers are worth supporting and I'd zap the ads in a heartbeat if I was a Pinterest user. And so will you.